FIND IT! 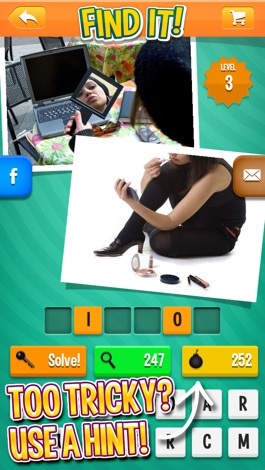 - a picture quiz game for sharp eyes! » FIND IT! 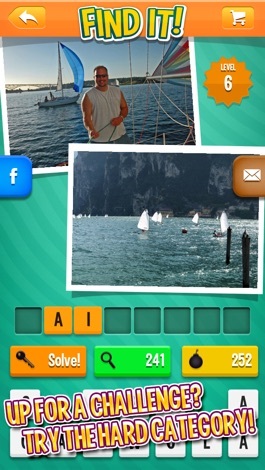 - a picture quiz game for sharp eyes! Do you have eagle eyes? 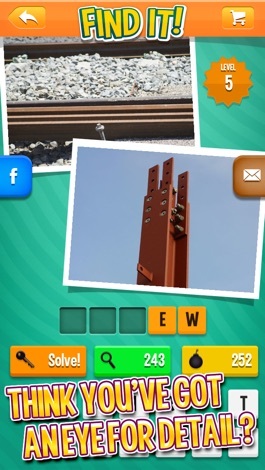 Then take the challenge of the new picture quiz FIND IT! You will see two different pictures, both with only one tiny detail in common. Can you see exactly what it is? FIND IT is completely free to try! Just tap the download button and start playing! Playing is super simple! 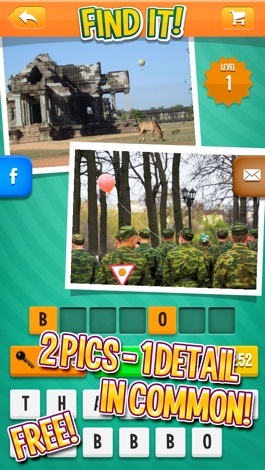 Have a look at the photos then spell your answer by clicking on the letters you want to use. Not seeing it? Don’t run to the eye doctor just yet! You have several hint tools at your disposal. You can remove and reveal letters, or you can tap the key icon to skip questions that are too tricky! When you complete enough levels, you are awarded free hints that you can use later. If you’ve run out, you can purchase more through the app. Is the main game too tricky? Play the Easy category. Or do you want to get your microscope and look for the really small details? Then play the Hard category! Test if you have the eyes to solve the FIND IT challenges! Provides Easton Utilities customers in Easton, MD information regarding their utility usage. Bill statement/payments are accessible as well as the ability to pay your bill from the app. This app includes a map showing current outages in the area. Download FIND IT! 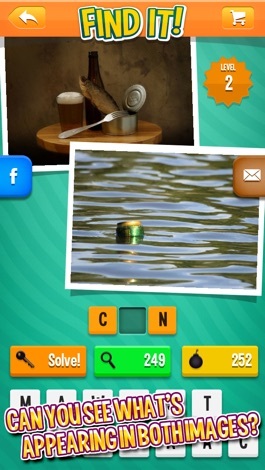 - a picture quiz game for sharp eyes!